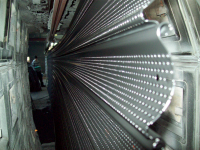 The colour coating of hot-dip galvanized steel – also called Duplex system is a particularly high-quality protective system. 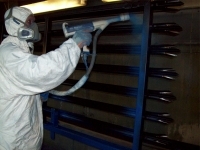 Zinc and colouring complement one another's effectiveness to increase the duration of corrosion protection by 1.2 to 2.5-fold. 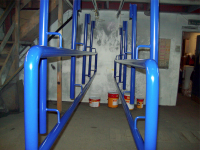 The colouring can be either be applied in the colour coating process or by powder coating.